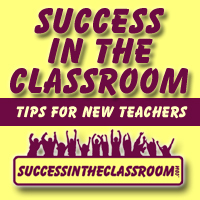 In this episode, I have 2014 Arizona Teacher of the Year, Beth Maloney, on the show, and I have to tell you that I had a great time speaking with Beth. I know you will find her as inspiring as I did. She has so much to share on the podcast and I know you will come away with many take-aways. One part of the show that I thought especially important was when she shared with me the importance of investing time into learning about brain research and how understanding how the brain works can help us become better teachers and allow us to better understand our kids. I thought that was extremely valuable, so listen for that. Also, listen for when she describes her meeting with the president. That was hilarious. You’ll hear me in the background laughing my head off. So funny, so listen for that as well. I want to offer a special thanks to Beth, because I think I hit the mother lode. I’m always looking for guests to come on the show and share their “amazingness” with my audience, and Beth was kind enough to put me in contact with other State Teachers of the Year, and I already have four or five either recorded or in the pipeline, so I’ll be pretty busy with these podcasts for a while, so thank you Beth. I know you will find what Beth has to say very valuable and inspiring.